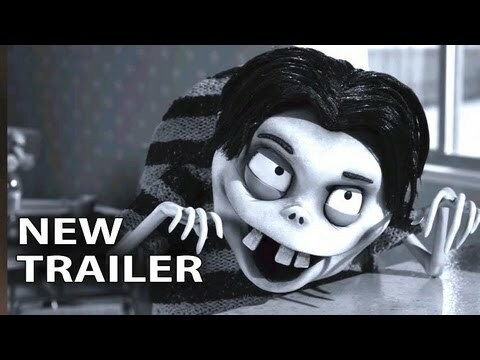 "Frankenweenie" movie quotes take audiences on a spooky 3D animated adventure in the remake of the 1984 Tim Burton short film. 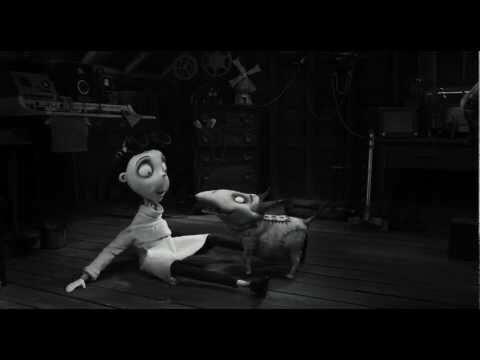 Like the previous version, the 2012 "Frankenweenie," also produced and directed by Burton, parodies the Mary Shelly character of Frankenstein. 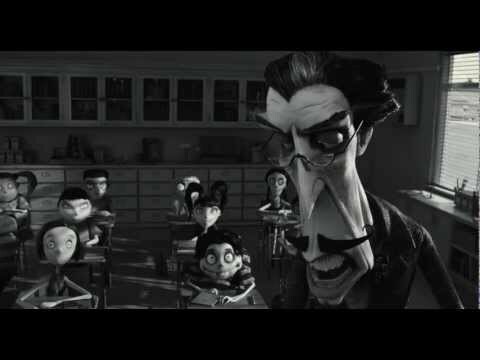 Also like the 1931 "Frankenstein" movie, "Frankenweenie" was in black and white when it was released in IMAX 3D on October 5, 2012. 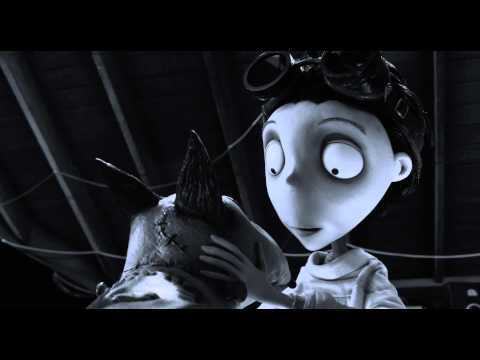 In "Frankenweenie," Victor Frankenstein (Charlie Tahan) is heartbroken when his best friend, family dog Sparky, passes away. A comment from his mother, Susan (Catherine O'Hara), about bringing Sparky back to life, along with an inspirational lesson on lightning from his science teacher, Mr. Rzykruski (Martin Landau), gives Victor an idea. His plan works and he manages to bring his beloved Sparky back to life. Despite trying to keep the miraculous feat a secret, unfortunately for Victor, word of the incident leaks out and everyone else wants to revived loved ones once they hear. For some, this means reuniting with someone special but it doesn't always work as planned, as seen when creatures from sea monkeys to ginormous lizards appear in their quiet town. Winona Ryder, Martin Short, Atticus Shaffer and Robert Capron also lend their voices to this Halloween comedy horror. This black and white stop-action family movie is sure to entertain audiences of all ages but if you're looking for something with a bit more color or with a bit more live action, check out "End of Watch, "Dredd 3D," "Lawless," "Resident Evil: Retribution," "The Perks of Being a Wallflower," "Trouble with the Curve," "The Master," "The Words," and "The Inbetweeners" instead. Mr. Rzykruski: "Lightning is simply electricity. The cloud is angry, yes, making some. All the electrons are saying 'I am leaving you. I go to the land of opportunity.' The ground says 'yes, we need electrons trained in science, just like you. Come, come, welcome!' So both sides start to build the ladder. This man, he comes out to look at the storm. He does not see the invisible ladders. When the two ladders meet, BOOM! The circuit is complete and all of the electrons rush to the land of opportunity. This man is in the way. Ahhhhhh!" Mr. Rzykruski explains to his class the science behind lightning, though in a cartoony kind of way. It was however effective as this lesson inspired Victor to perform a grand experiment in bringing his dog back to life, one that succeeded. Susan: "He was a great dog, a great friend." Ben: "The best dog a kid could have." Susan: "When you lose someone you love, they never really leave you. They move into a special place in your heart." Susan: "I know. If we could bring him back we would." As Victor learn, losing a pet is heartbreaking. As much as you want to bring them back, it's impossible, right? Right? Weird Girl: "Something big is going to happen." Victor: "How do you know?" Weird Girl: "Because Mr. Whiskers left a message." Victor: "Did you get that out of the litter box?" We've all heard about seeing religious figures in foods and other random objects but this interaction between Victor, the Weird Girl and her equally as weird car Mr. Whiskers might be the first reported case where someone finds an image or message in cat poop. Victor: "You're alive! You're alive! Sparky, you're alive! I can't believe it. You're alive! ... I can fix that." It's not just Victor who is excited that he's managed the seemingly impossible in bringing his dead dog Sparky back to life but Sparky is equally excited to see his old pal Victor, so excited that his tail dislodges and flies across the room into a waste basket.